KIEV, Ukraine -- During a meeting with Ukrainian President Viktor Yanukovych on Monday, former U.S. Secretary of State, Henry Kissinger, praised Ukraine's preparations in hosting the European Football Championship and expressed his support for the country to join the European Union. Yanukovych and Kissinger discussed Ukraine's advances in the context of global challenges and the world economic crisis. Both agreed that Ukraine's future lies in Europe, while stressing the importance of preserving its good relationship with Russia. "I am a strong advocate of an independent Ukraine," Kissinger said, adding, "I believe Ukraine should be in the EU while maintaining good relations with Russia." However, Kissinger pointed out that he doesn't "support Ukraine's NATO membership," a notion which was echoed by Yanukovych. Over the course of the meeting Yanukovych and Kissinger further discussed relations between the United States and Ukraine as well as the raft of reforms implemented by Ukraine within the framework of European integration. Ukraine has expressed its commitment to building a future as part of the European family. The signing of the Association Agreement with the EU would help liberalise Ukraine's economic relations with the bloc, but requires Kiev to adopt further legislation to comply with EU rules. Progress has been made, including recent election reforms, which were approved in parliament by MPs representing both the government and the opposition. The reforms were praised by the Council of Europe's Venice Commission, which acts as the Council's advisory body on constitutional matters. Intent on strengthening its democracy and ensuring respect for the rule of law, the country is also reviewing its legal and judicial system in an effort to modernise it and bring the system up to European and international standards. Kissinger travelled to Ukraine as part of the Euro 2012 football tournament and highlighted the country's rich history and vast potential during his visit. 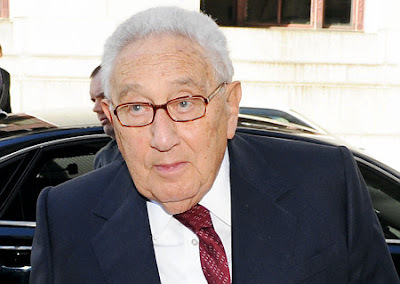 "A country with such a big history deserves a dignified future," Kissinger said.